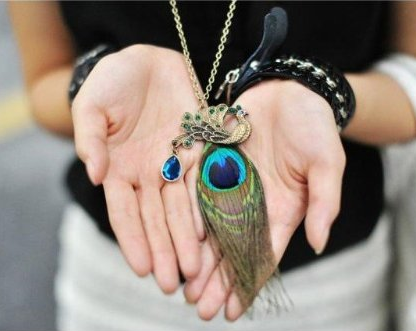 Peacock Feather Necklace Only $3.07 PLUS FREE Shipping! You are here: Home / Great Deals / Amazon Deals / Peacock Feather Necklace Only $3.07 PLUS FREE Shipping! you lots of compliments! Get yours now!